Luxurious living at one of Westchesters most distinguished addresses. 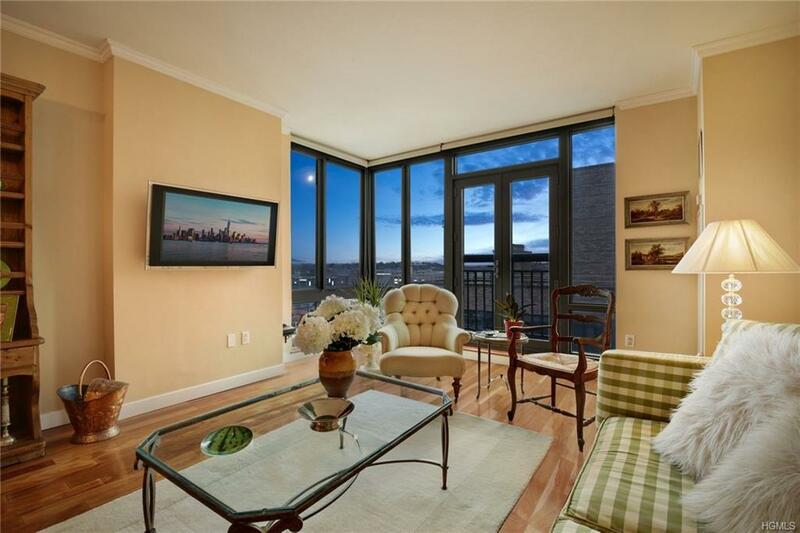 Enter a meticulously designed, light-flooded 2-bedroom, 2.5 bath apartment located on the 14th floor. With 1,358 square feet of open contemporary living space, youll enjoy the quiet comfort and convenience in this elegant home. 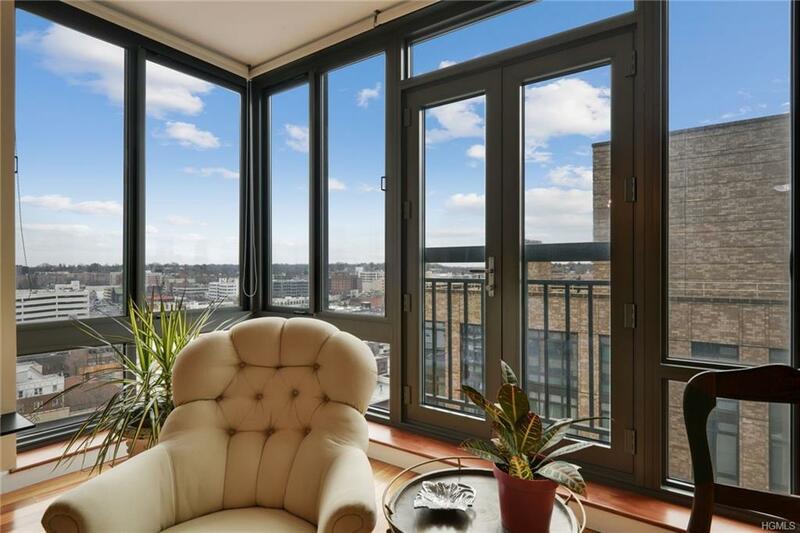 The walls of windows in the living room and master bedroom provide natural light and exquisite open city views. From the moment you enter through the foyer with its guest powder room, youll be impressed by its thoughtful layout and beautiful finishes, including Brazilian cherry hardwood floors and crown molding. 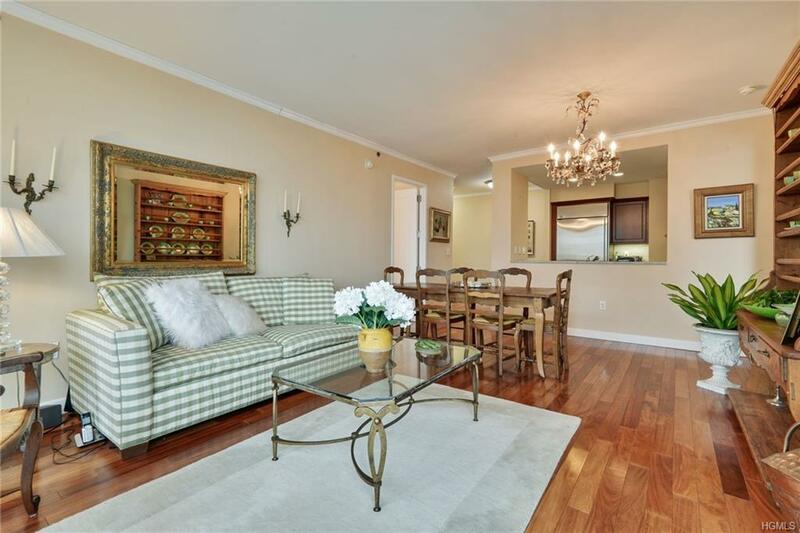 The apartment was designed with entertaining in mind, with a large living/dining room off the foyer and open chefs kitchen, beautifully appointed with cherry wood cabinetry, granite counter tops and stainless-steel appliances. The spacious master suite has two large closets, one of which is a large walk-in closet and a marble private bath with double sinks, soaking tub, and separate shower stall. The second bedroom, which has an en suite bath, can also serve as an office, library, or den if desired. There is also a laundry closet that houses the washer and dryer. 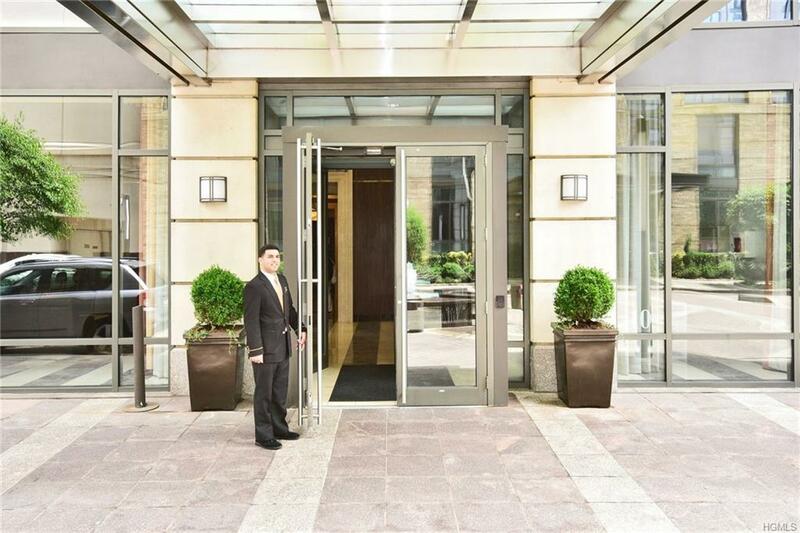 Trump Tower is a luxurious condominium located in the heart of the city. Built in 2005, this exclusive building treats its residents to a wealth of white-glove services and amenities such as a private driveway, 24-hour doorman and concierge, fitness center, indoor pool and spa, childrens playroom, residents lounge and an outdoor 9th floor recreation deck offering outdoor pool, tennis & basketball courts, picnic and barbecue grills, childrens playground and golf putting green.